backpack boy: Support Earth Hour 2009! The power to vote is in your hands. 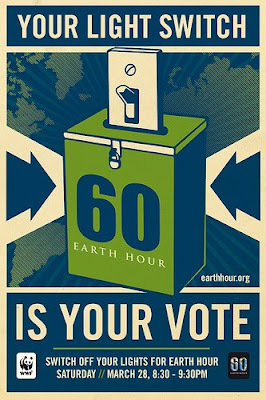 Vote for earth against global warming by switching off your lights on Saturday, March 28, 2009 from 8:30PM - 9:30PM! Click above for more information on Earth Hour and how you can support this global initiative.